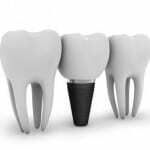 Some of the cosmetic dentistry services we provide in Midland, ON include teeth whitening, crowns, bridges, porcelain veneers, implants and many more. Are you self-conscious about your smile? Would you like to restore your teeth and improve your confidence? If so, come and visit us at Georgian Shores Dental Centre in Midland, Ontario. 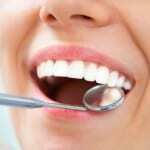 We provide a number of different cosmetic dentistry services and are committed to your complete satisfaction. Some of the cosmetic dentistry services we provide include teeth whitening, crowns, bridges, porcelain veneers, implants and many more. When you consult with us about your cosmetic dentistry options, we will take the time to determine what you want your smile to look like and what solutions are available that can help you get there. This patient-oriented approach allows us to devise a restoration plan that promotes your best interests. Not only will we craft a cosmetic dentistry plan specifically for you, but we will also take the time to answer any questions you might have. Whether you are interested in replacing a few missing teeth or you simply want to whiten and brighten your smile, we realize that you may have many questions and concerns about what is to come. We will do the best to answer your questions and address your concerns, so you continue to feel confident and comfortable in our care. Remember, if your smile is less than perfect, we can help you improve its appearance. To find out more about our cosmetic dentistry solutions and why you should let our office meet your dental needs, both cosmetic and preventative, please contact us at Georgian Shores Dental Centre today. At Georgian Shores Dental Center, we offer cosmetic dentistry services at our Midland and Collingwood dental clinics for residents of Collingwood, Creemore, Midland, Nottawa, Penetanguishene, Perkinsfield, Port McNicoll, Stayner, Thornbury, Victoria Harbour, Wasaga Beach, and Wyevale, Ontario.